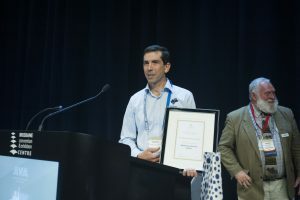 Dr. Michael O'Donoghue was recently awarded with the prestigious Meritorious Award at the Australian Veterinary Awards. President Dr. Paula Parker notified us that Dr. Michael O'Donoghue would be the recipient this year in honour of his extraordinary work for the Australian Veterinarian Association. 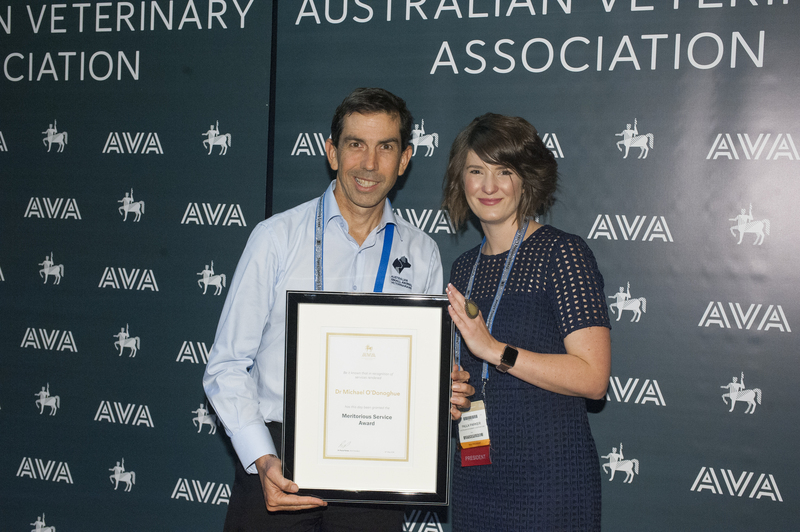 The AVA recognises service to the association or the veterinary profession through a program of awards and prizes. Meritorious Service Awards are awarded to members or non-members who are not eligible for membership of the association. Dr O’Donoghue graduated from The University of Queensland with BVSc in 2000. Subsequently, he has practiced as a small animal veterinarian in both Australia and the United Kingdom. After spending time at the University of California, Davis Pet Loss Centre, and in particular working with Bonnie Mader, he become aware of the long term impact of pet loss. He has since championed to help people in the area of pet loss, by conducting research in the area of companion pet loss and the significant impact this can have on people’s lives. As President, Queensland Division AVA, he improved relationships between the RSPCA and AVA significantly. Dr O’Donoghue is a passionate campaigner for desexing of cats to reduce unwanted kittens and unnecessary euthanasia. He is not only an advocate for animals, but also pets-and-people and the importance of the human animal bond. He is also an advocate for renting with pets, endorsing the right that everyone can have a pet, regardless of their accommodation. Further, he promotes the importance of mental health for both veterinarians and pet owners, particularly dealing with the loss of a loved pet. He has provided sympathy cards for veterinary clinics and has run a pet-loss and grief-support and counselling service since 2008. He is currently interested in ways to reduce the impact of domestic violence as women’s shelters do not accept pets. Small animal clinician (1993-2000)The Queensland Division of the AVA strongly endorses this nomination. Michael O’Donoghue has an impressive record not only on his achievements in promoting an under-realised area of pet-people relationship, but also from his representation of the AVA on government and industry committees. The Meritorious Service Award recognises special or long-term service to the AVA, its divisions, branches or special interest groups; please visit the AVA website to read more about the Awards.